Philadelphia is not only the birthplace of the nation, but also of AKA’s founding Korman Family. An exciting confluence of past and future exists in Philadelphia, where residents can tour historical destinations and the city’s first vertical neighborhood alike. Philadelphia’s rich attractions, stunning architecture, burgeoning culinary scene and recent designation as one of the top 10 shopping destinations make it an exciting city in every season. Your travel to Philadelphia is sure to include experiences of both the city’s great past and bright future. 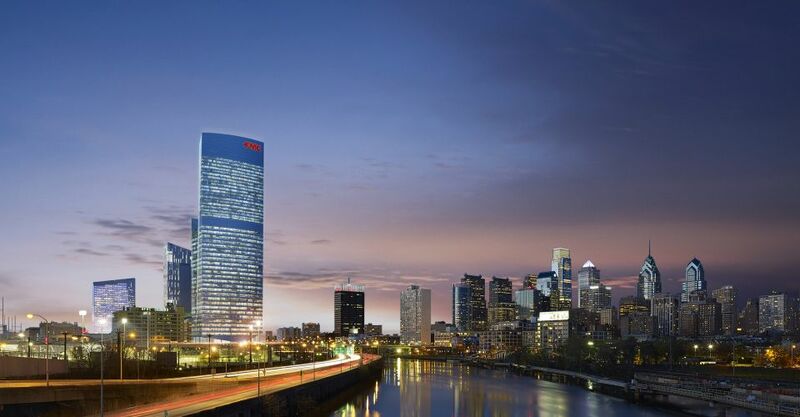 AKA’s University City location features 268 luxurious furnished hotel and apartment residences in University City, located on the upper 18 floors of Cira Centre South's innovative vertical neighborhood. The entire 28th floor of the striking new glass tower is dedicated to our residents’ well-being and enjoyment. This prestigious full-floor amenity level includes an expansive lap pool, state of the art Technogym fitness center and yoga area, 3D golf simulator, outdoor terrace with fire pits, sophisticated a.lounge, business center facilities and a private screening room. AKA Rittenhouse Square is located on the corner of 18th and Walnut Streets, across from the formal entrance of Rittenhouse Square. With 78, elegantly-furnished studio, one- and two-bedroom Philadelphia suites with full kitchens, AKA Rittenhouse Square luxury extended stay provides the ideal environment for short and long term stays. Enjoy a location near the Kimmel Center for the Performing Arts, the Philadelphia Museum of Art, the Franklin Institute, the Barnes Foundation and more. A culinary mecca, Philadelphia is also home to many of the most respected restaurants in the country, and AKA’s critically acclaimed Rittenhouse Square restaurant, a.kitchen+bar, serves exquisite lunch and dinner—featuring the best wine list in Philadelphia, awarded by both Zagat and Philadelphia Magazine.